Qatar is a sovereign state in Western Asia on the Arabian peninsula. Qatar is termed as a state built by immigrants as the Qatari population is only around 12% of the total population. As per the surveys taken since 2017, Qatar has about 2.6 million inhabitants, the majority of whom lives in Doha. Around 88% of the population amounts to foreign workers with Indians being the largest community numbering around 691000. This blog gives you more details about best attestation services and the certificate attestation requirements. Overseas professionals who wish to reside in Qatar should possess a residency visa and a work permit issued by the ministry. There are four ways to obtain a residency visa in Qatar. Incorporating a business in Qatar – By starting a business in Qatar can make you eligible for getting visa in Qatar. Becoming a shareholder of a Qatar company – Qatar provides you with the facility of being a part of their company which incorporated there. Purchasing real estate in Qatar – Purchasing properties is restricted in some gulf countries. But Qatar gives you a chance to do the same and later gives you visa to reside there. Being employed in Qatar – Majority of the emigrants opt for getting employment visa as it is easier than an investment. Investors visa – An investor visa which has three years validity is required to relocate to Qatar for managing their business in Qatar. For applying for the same, a Qatari national sponsorship is needed. And a residency visa will also be furnished for spouse and children. Business visa – 3 months visa will be approved for businessmen to visit Qatar for their assignments in the country if sponsored by Qatar resident companies and being approved by the ministry. Employment visa – A foreign worker is required to obtain a labour card by submitting copies of employment contract, academic qualifications, and employer sponsorship certificate. For all these get done you have to do the attestation process as a proof to showcase the originality of your documents. It can then simplifies the process for all cross-border service by keeping the genuineness of the certificates. New India Qatar attestation is a company managed by a group of committed and qualified professionals with knowledge in law and a strong technical and innovative approach. We assure fast and reliable certificate attestation services for any kind of document attestation for Qatar from different Embassies. If you are in search for a reliable MOFA attestation in Qatar, then New India is one stop solution to provide you with all your attestation needs. We care for your valuable time and money. Our professionals with years of experience carefully handles each client’s document with due care and importance keeping security concerns in mind. We offer services for EMBASSY attestation, apostille attestation, degree certificate attestation in Qatar, marriage certificate attestation in Qatar, the ministry of foreign affairs attestation etc. Marriage Certificate Attestation – To take your spouse along with you you need to attest your marriage certificate by an authority, department or an authorised person using seal and signature. This includes getting attestation done from Home department or Ministry of External Affairs in India and the corresponding Embassy where the candidate plan to move in. Salary Certificate Attestation – If you are planning to work in Qatar, your salary certificates should be validated by the Home Department from where it was issued along with the other documents and should be later attested by the Ministry of External Affairs. Pan Card Services – Pan Card is important for all NRIs to pay tax on Indian income. In addition to Indian Pan card services we offer all kinds of attestation, PRO services, Commercial Registration and so on. Diploma Certificate Attestation – Unattested diploma certificate may lead to the rejection of job offer, It is mandatory for an individual to get his diploma certificate attested. It should be attested from the concerned ministry department of the country of origin and also from the embassy of the other country. Mark Sheets Attestation – To legally certify the mark sheet, it is send directly to the university from where it is issued for its validation for HRD. It is then attested by HRD after which it is brought before Ministry of External Affairs for further attestation of the mark sheet. It is also known as Bonafide Certificate Attestation. Medical Report Attestation – Medical report states the physical condition of the applicant. Medical certificate attestation is done to validate the legitimacy of the report. The medical report drawn by the preferred authority with seal is first attested by the Regional Attestation Department or General Administrative Department and then by Ministry of External Affairs. Lastly, by the Embassy or consulate of the country to which the applicant is planning to go. Legal Heir Ships Attestation – For transferring the power or authority to the next generation, a legal heir ships attestation is to be done with the authority and will get attested in the 7 Indian working days. Affidavits Attestation – To make the affidavit valid, it is attested by the Home Department of the state and then by Ministry of External Affairs. Lastly, the affidavit is validated by the Qatar Embassy or Consulate of India. Birth Certificate Attestation – It is validated by the General Administrative Department or Regional Attestation Department of the home country. Later, it should be attested by Ministry of External Affairs in New Delhi and at last the certificate must be brought before Qatar Embassy or Consulate in India. 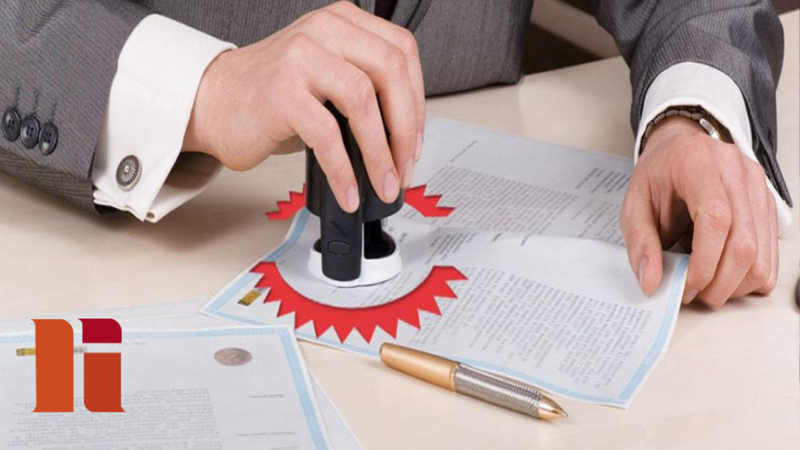 Experience Certificate Attestation – For making ourselves employable every personal and academic certificates must be attested in order to make the candidate valid in Qatar to persuade a job. Degree Certificate Attestation – Degree certificate attestation for Qatar comes under the category of education certificate attestation. The attestation of degree certificate is mandatory for every candidate who is planning to get into Qatar for higher studies or persuade to a job. We also provides attestation of transfer certificate, business set up services, board certificate, engineering certificate, private diploma, death certificate, divorce papers, company documents, translation services, PRO services, provisional certificate, and commercial registration. Life of migrants in Qatar is a mix of ups and downs. Accommodation choices are limited to compound villas and high-rise apartments but they are generally spacious and well-proportioned. Expats will have a lot of extra time and there are many ways to explore it. And the main enjoyments will be during winter which are long and temperate, and residents can enjoy outdoor activities like beach picnics from November to April. Qatar is a place having low crime rates and exceptional hospitality. If your migration plan is in an ongoing process, let it be any country, the choice is yours. We are working with a vision to provide the perfect solution for your certificate attestation formalities from India, UK, USA, Canada, Australia & all G.C.C. The team New India is ready to work on behalf of you. When you are ready to assign the responsibility of collecting your certificate you can be assured a high quality services with punctual and trustful personnel. Wishing you a very success on your new decision to relocate to the world’s richest country. As the country works towards the hosting of World Cup,2022, Qatar had pledged a world class infrastructure and still being a country in transition. Let it be a joyful experience.